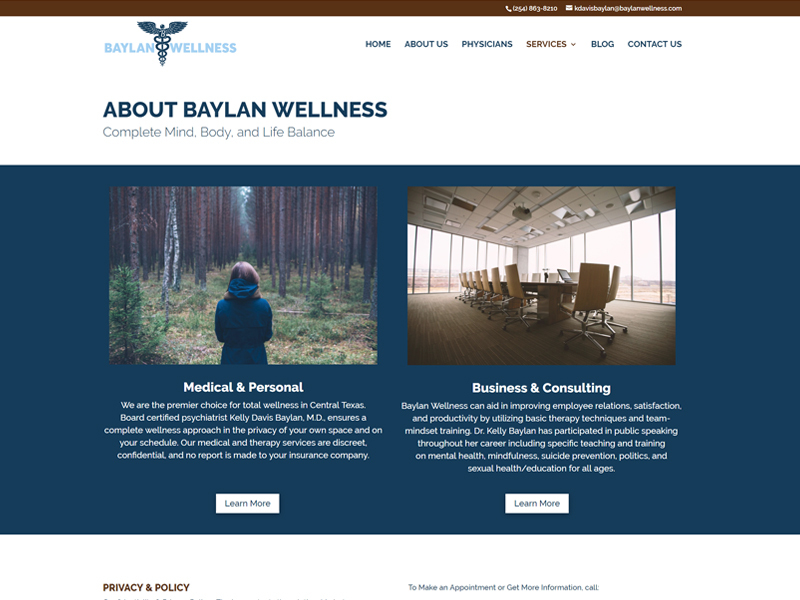 Baylan Wellness is a unique medical practice based in Texas. With both a Psychiatrist and a Surgeon on staff, the prcatice is able to offer the best of both physical and mental healthcare. Aware of the stigma that is unfortunately still associated with mental health, they offer private, consierge style care when required. Our job was to help this new practice develop a brand and digital presence as the partners work to develop their reputation and patient base. They wanted to create a full responsive website that was designed with a soothing, calming aesthetic. One of the key challenges was the timeline. With only three weeks to go from logo design to site launch, we helped to outline a clear timeline deadlines for feedback. Together, we were able to meet all of the deadlines, and actually launched the site a couple days early. By request, the homepage features a calming, rural image to help stressed patients feel at ease with the practice from the first moment. Also prominant are various methods to reach out quickly as well as the required legal copy given the sensitive nature of medical healthcare. 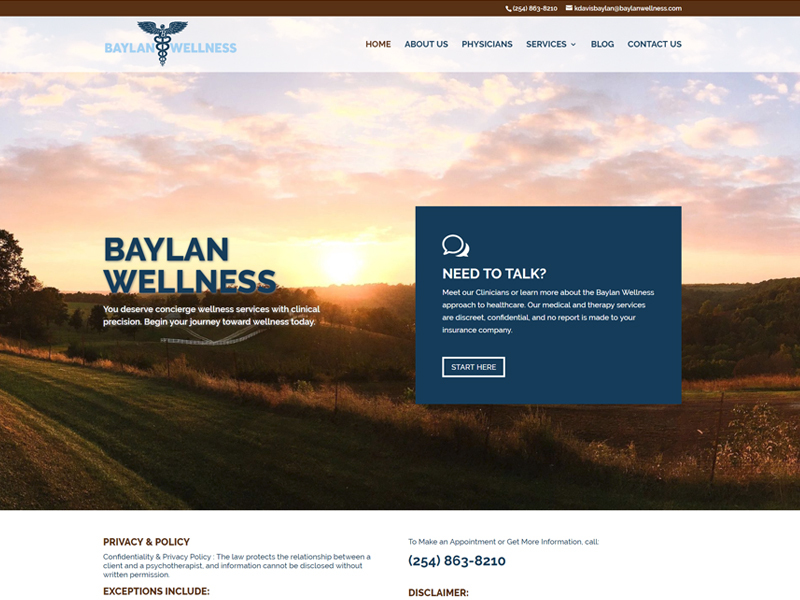 Baylan Wellness offers a unique set of services to patients and the local community. Their ability to offer both physical and mental health within one practice sets them apart from most other practices and their active involvement in the business community helps to diversify their patient and client base.